"Designed to occupy your mind while making you laugh, this book is perfect for all your introverted thoughts. You know, the ones you can’t say out loud. With over 100 activities, you’ll never be bored again. The spiral-bound activity book is perfect for tweens, teens and adults. And with the holidays right around the corner, this book works as a stocking stuffer." "Calling all introverts! Discover your voice and the best way to express yourself with this fun book filled with writing prompts, doodle ideas, paper-craft projects, and more. The go-to Christmas gift for the introverts in your life." 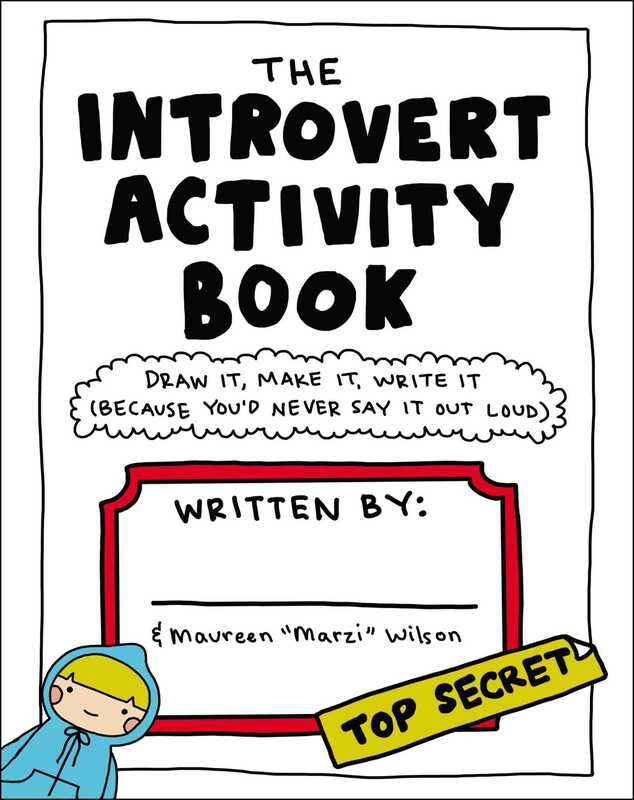 "Maureen ‘Marzi’ Wilson's activity book caters to the inner workings of an introverted mind in the most amusing ways. Each page features soundbites of humor that only a true introvert could understand, with solitary activities like drawing, writing, and doodles that encourage creativity to come alive." "A thoughtful gift idea for the reflective introvert in your life." "This book is a combo of playtime and self-care for introverts. It features 110 quiet, solitary projects, including journaling prompts, paper crafts, doodle ideas, and games. When you give someone The Introvert Activity Book, you’re giving the gift of creativity and relaxation: two things introverts thrive on." "For introverts, it's not often we come across someone who really gets us … .Fret no more, friends, because Introvert Doodles understands you, and you'll relate to these drawings better than you've ever related to anything with a pulse. She's blessed us with … The Introvert Activity Book. Marzi's artwork is about so much more than cute drawings and clever captions. She's truly giving a voice to marginalized and stigmatized groups of people, and in an accessible way that's easier to understand and digest." "If you like naps better than nights out at the bar, you have to have this book, which will speak to your introvert soul unlike it's ever been spoken to before."